I Heart My Kinder Kids: Addition - How Many Ways to Make 10 and More! Addition - How Many Ways to Make 10 and More! 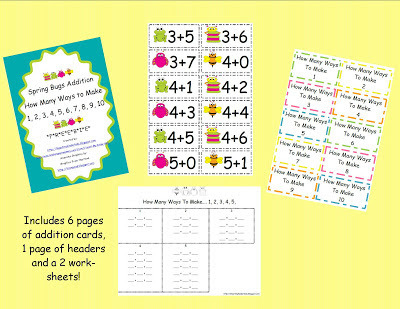 Click here for Freebie in Google Docs. Sylvia - Looks great! But I wasn't able to open because I needed permission to access this file.It will be a great review for my first graders. Your newest follower.